BSM Media created a buzz online surrounding the launch of Noddy Toyland Detective: Let’s Investigate. 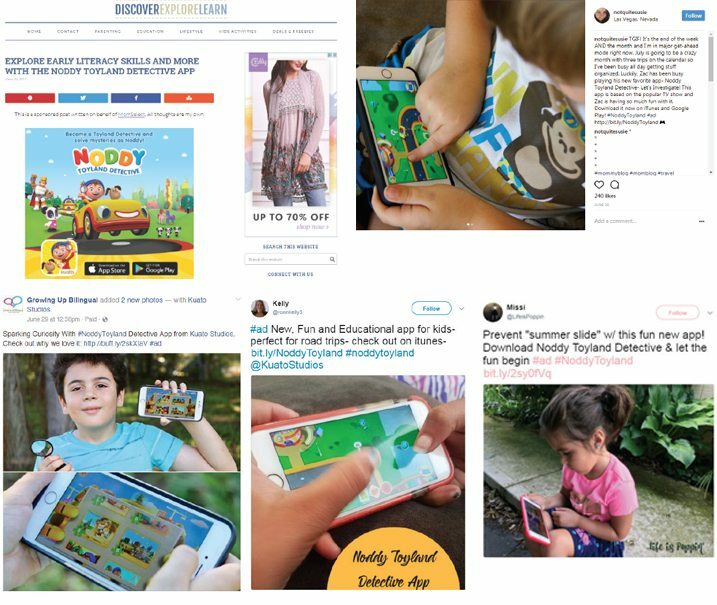 By activating mom influencers in our network to download the app and share information about it with their followers online, we were able to increase brand awareness and recognition for Noddy Toyland Detective and Kuato Studios among mom consumers. In addition to activating mom influencers, BSM hosted a tweet-to-win promotion to drive other moms in our network to share information about the app on Twitter, which resulted in over 540 tweets. Overall, BSM Media exceeded the benchmarks set for campaign impressions for this campaign by over 11 million impressions and tracked over 1,060 clicks on BSM’s bit.ly app store links. Based on these measurements and positive feedback from our mom influencer network, this campaign was a success!